HobNob Connect is an angel-funded startup based in Silicon Valley. The HobNob iOS app allows professionals interested in making new, meaningful connections to search for people by location, education, age, and industry. In early 2014, HobNob's project manager reached out to me to design a logo and to provide feedback on app appearance and features. IDEATION : "H"-shaped puzzle piece as a metaphor for connecting people. ITERATION : multiple puzzle pieces created in 3D modeling software. 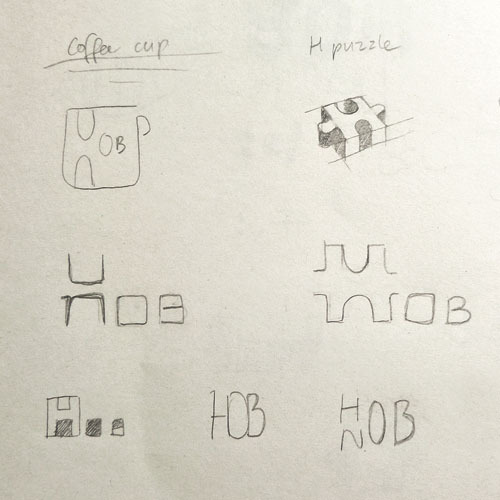 ITERATION : "H" and "n" puzzle pieces to represent "HobNob". FINAL ICON : abstract "H" + "n" figure.